With more than 15 years experience, Carl Strautins is a renowned expert and industry leader in slip resistance and hazardous material testing. 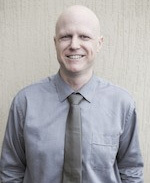 Over the years, Carl has conducted thousands of slip tests to Australian and International Standards, provided specialist advice, published journal articles and has been invited to present at industry events on numerous occasions including presenting at the International Ergonomics Society conference on slips trips and falls. Carl assists the National Association of Testing Authorities (NATA) as a technical assessor to evaluate the competency of organisations in the fields of asbestos inspections and slip resistance. 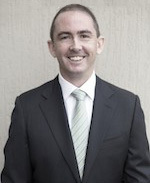 Carl is regularly involved in the development of both Australian and International Standards and was the drafting leader for the 2013 version of Australian Standard AS 4586. As an Occupational Hygienist, Carl is dedicated to the anticipation, recognition, evaluation, communication and control of workplace stressors such as noise, dusts, fumes fibres, chemicals, radiation, human factors and ergonomics. Prior to starting Safe Environments, Carl worked for CSIRO, specialising in slips, trips and falls which included flooring design, stair assessments, lighting and visibility assessments. Carl holds a Bachelors Degree in Materials Science from UTS, a Masters Degree in Occupational Health and Safety Management from UTS and a Masters Degree in Science specialising in Occupational Hygiene Practice from the University of Wollongong. Carl is a Chartered Professional Member of the Safety Institute of Australia (CPMSIA), a Full Member of the Australian Institute of Occupational Hygienists (MAIOH), a Certified Materials Professional by Materials Australia (CMatP), a Registered Building Consultant by the Master Builders Association, and an Associate Member of the Human Factors & Ergonomics Society. In addition to running Safe Environments, Carl manages Daddy duties for his young family, enjoys playing hockey and is a passionate model glider pilot, having represented Australia in flying for more than 10 years. Daniel leads the Melbourne branch of Safe Environments, bringing more than 20 years of experience in the building industry. As an award winning architect, Daniel has a strong interest in workplace health and safety in relation to building design and understands the many regulatory and compliance issues that confront the industry. His experience spans across the public and commercial sector, with specialist skills across educational and community projects. Daniel holds a Bachelor of Architecture (Hons) from The University of Melbourne and is a member of the Association of Consulting Architects Vic/Tas. Martin brings a decade of experience to the Safe Environments team. In his role as Laboratory Manager, Martin leads a team of technicians and Safe Environments’ Laboratory compliance to ISO 17025 – Testing and Calibrations. As an experienced Materials Scientist, Martin also heads up the Slip Resistance division of Safe Environments and has conducted slip resistance testing for a number of blue chip commercial properties and development projects. Martin is also qualified in luminance contrast testing, tile and stone testing, and has conducted asbestos and hazardous materials audits and management systems for a diverse range of industrials, commercial and retail properties. Prior to joining Safe Environments, Martin worked for Greencorp Magnetics, where he was responsible for the continual improvement and development of existing and new heat transfer ribbon and hot stamping foils. Martin holds a Bachelor of Science in Applied Chemistry from the University of Technology Sydney, a Masters in Laboratory Quality Analysis and Management from Macquarie University and is completing a Masters in Environmental Science and Law at Sydney University. 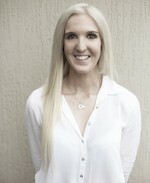 Kate joined the Safe Environments team in 2010 and is a key member of both the operations and technical teams. Kate leads the day-to-day management of the office and is responsible for accounts payable and receivable; she holds a Certificate III in Business Administration and is completing a Certificate IV in Bookkeeping. In addition, Kate is a NATA accredited Lab Technician for asbestos identification. In her personal time, Kate enjoys keeping fit and going to the beach.